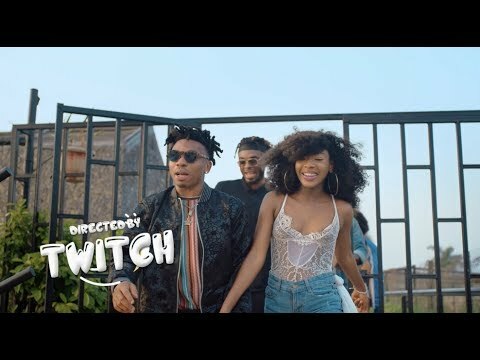 DMW frontman, Mayorkun is back and better with a brand new song titled “Red Handed” and he featured label mate, Peruzzi, Dremo and the talented Yonda. Produced by Fresh VDM with STG taking credit for mixing, this song is one of the tracks off Mayorkun‘s recently released album, “Mayor of Lagos”, a project that’s still getting all the attention because of its uniqueness and the quality that came with it. The “Mayor of Lagos” album came as Mayorkun’s first studio album and well, he definitely gave a good showing of himself on this project. The project was a really huge one with songs like “Sope”, “Tire”, “Aya Mi”, “Posh”, “Drama Queen”, “Mofo”, “Bobo”, “Cheche” and of course this one we’re now sampling, “Red Handed” among many others. The project also had heavyweights like Speroach Beatz, Cracker Mallo, Fresh VDM, Kiddominant, DJ Coublon, Phantom, Northboi and Killertunes producing and it came out really well. On this “Red Handed” song, not only did the featured artistes, Dremo, Peruzzi and Yonda bring their A games and delivered what was expected of them, the song also came with a music video directed by Twitch Visuals and we are happy to recommend that you listen. To enjoy, stream or download here and remember to drop your comments. August 14, 2018 Mayorkun, Burna Boy, Skales & Other Artistes Thrill At The Mayor Of Abuja Concert.